We supply spare parts suitable for Mather and Platt pumps (now known as Wilo pumps). We can also offer full rotating assemblies for the above Wilo pump models. Mather & Platt Spare parts are available in various MOC as requested like CI, SS, Bronze etc. Mather & Platt Pump Spare parts can also be manufactured as per client's sample or drawing. We offer high quality Wilo/ Mather and Platt Pump Spare Parts that are manufactured using latest production techniques. Made from finest quality raw materials, the Mather & Platt Pump Parts are known for their unmatched performance as well as durability. In addition to this, we assure to provide quick and safe delivery of these Mather & Platt Pump Spare Parts to the customers location. We are recognised as one of the leading Pump Spare supplier from India. Mather & Platt is one of the leaders in the design & manufacture of Centrifugal water Pumps. 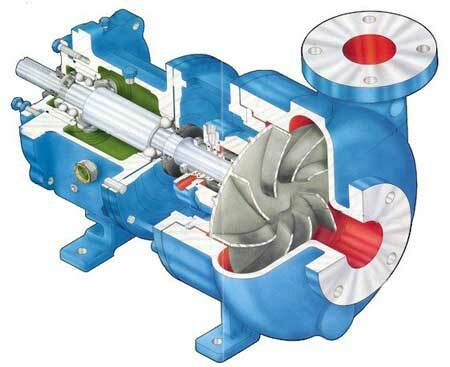 These pumps consume less power due to better hydraulics and higher efficiency. This ISO 9001 & ISO 14001 certified company offers a wide range of pumps & valves to all core industries and is a major exporter of Pumps to the countries in South East Asia, Middle East, Africa, and Australia & Canada. We present a range that is unmatched in terms of quality and long life. Mather & Platt has now been acquired by Wilo. WILO, MATHER + PLATT PUMPS LTD.